Bachateros!! 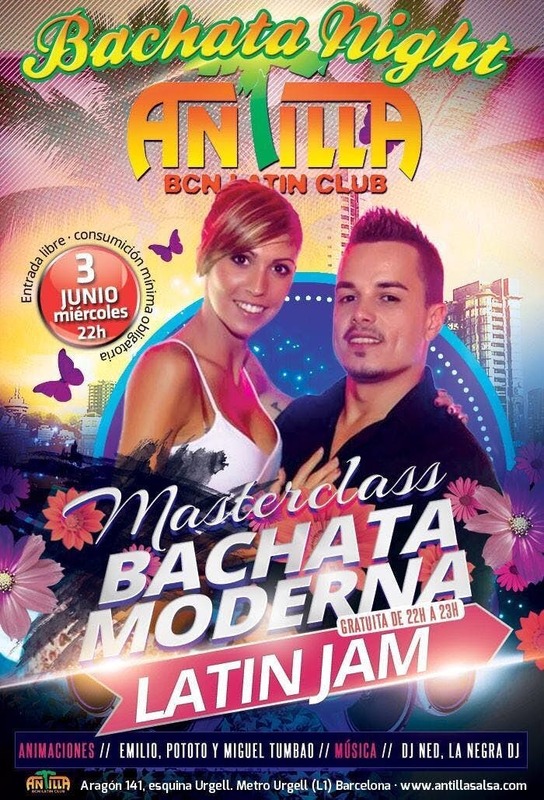 Tomorrow is bachatea at Antilla!! Room 1: NED DJ booth with salsa, timba, bachata and animations EMILIO, MIGUEL And POTOTO. Room 2: with EVELYN cabin with a lot of bachata and Kizomba.